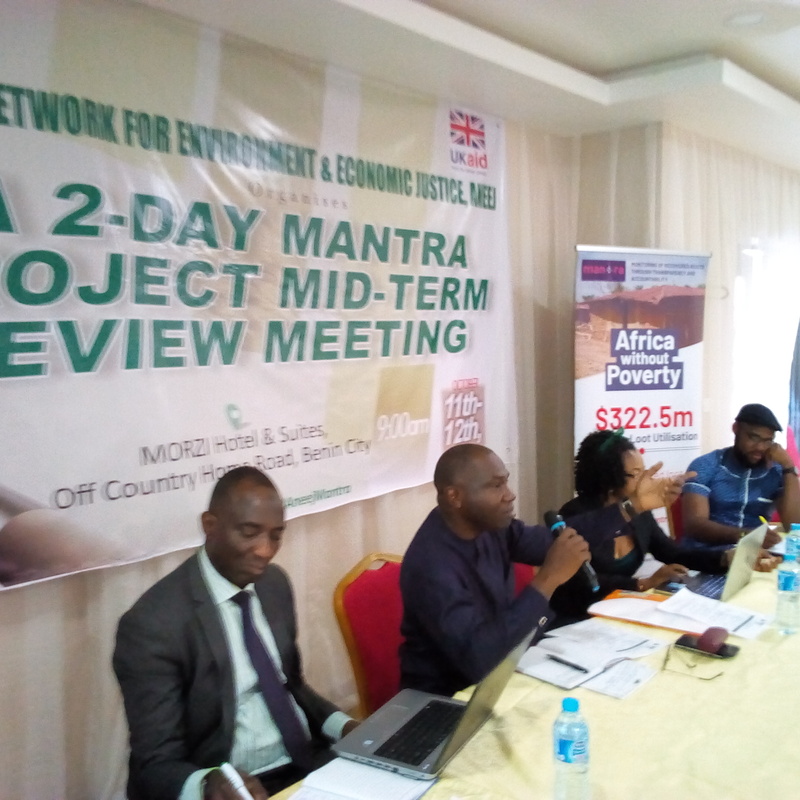 Participating MDAs – the National Social Security Safety Net, NASSCO , the National Cash Transfer Office, NCTO and the Ministry of Justice – at the ANEEJ 2-Day MANTRA Mid Term Review meeting taking place in Benin City the Edo State capital have identified the importance of working with frontline NGOs like ANEEJ towards accountability and transparency in the monitoring of returned loot. Speaking in an address of welcome, Chairperson of the occasion and board of directors of ANEEJ, Prof Ben Aigbokhan said that achieving transparency and accountability in the recovery and management of looted assets is crucial to the advocacy for, and efforts by government, civil society and other stakeholders to ensure that all illicit financial flows from Nigeria are returned. Reiterating this idea, representative of the Ministry of Justice Dawodu Sulaiman said that in reviewing existing laws and legislation in the Ministry of Justice, ANEEJ contributed significantly in helping to push for the passage of such bills like the POCA, MLA and allied bills to law. 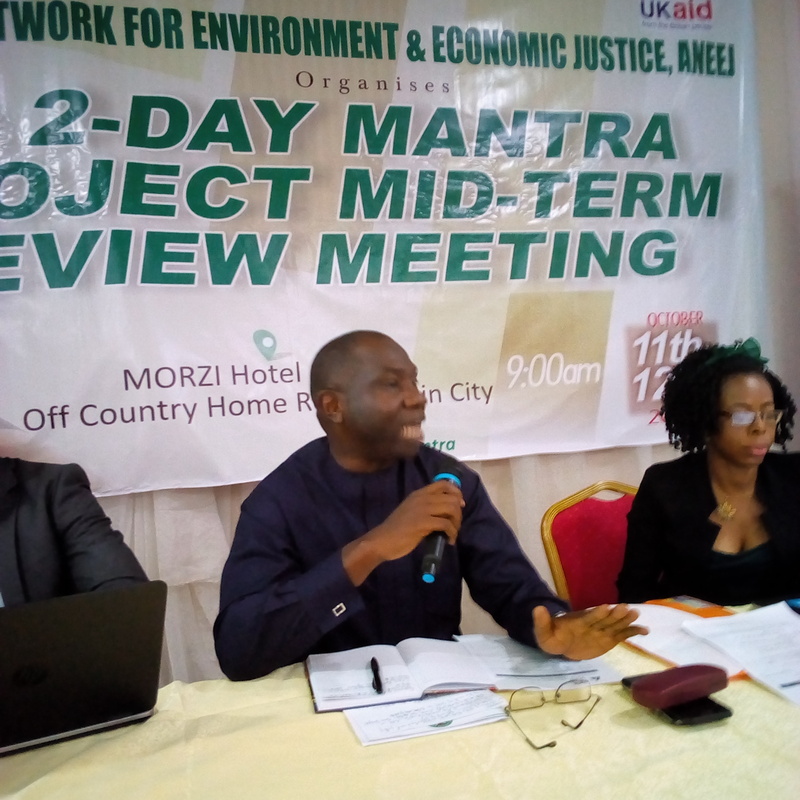 Sulaiman Dawodu of the Federal Ministry of Justice, law review team, at the ANEEJ MANTRA Review meeting…in Benin City. Speaking earlier, ANEEJ executive director the Rev David Ugolor said that the NASSCO and NCTO and Ministry of Justice are key to ensuring that the MANTRA project is successful . ‘These MDAs have been working with ANEEJ towards ensuring that recovered assets are meaningfully put to accountable and transparent use’, the Rev Ugolor said. 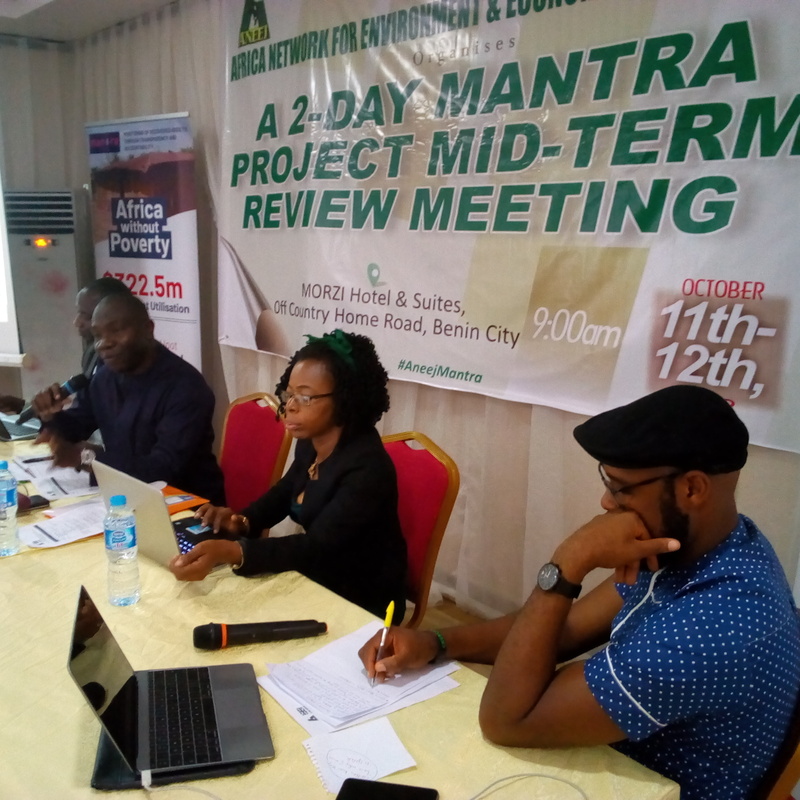 Solomon Musa Odole of the NASSCO office said that even though his office can be accountable and transparent, it welcomes ANEEJ involvement through the MANTRA in assisting with the monitoring and accountable use of recovered funds.